Nicole Zanlith (below), was waiting for a taxi outside of a club in Spain. A group of North African Muslim invaders brutally attacked her, cutting her face with a broken vodka bottle causing permanent blindness in her right eye. UK Daily Mail (h/t Maria J) The jihadists have long made it their goal to expand their boundaries beyond Muslim-majority countries in the Middle East. As well as plans to expand the caliphate in Iraq, Syria, North Africa and large parts of western Asia, they have previously released a map marking out plans to seize parts of Europe. 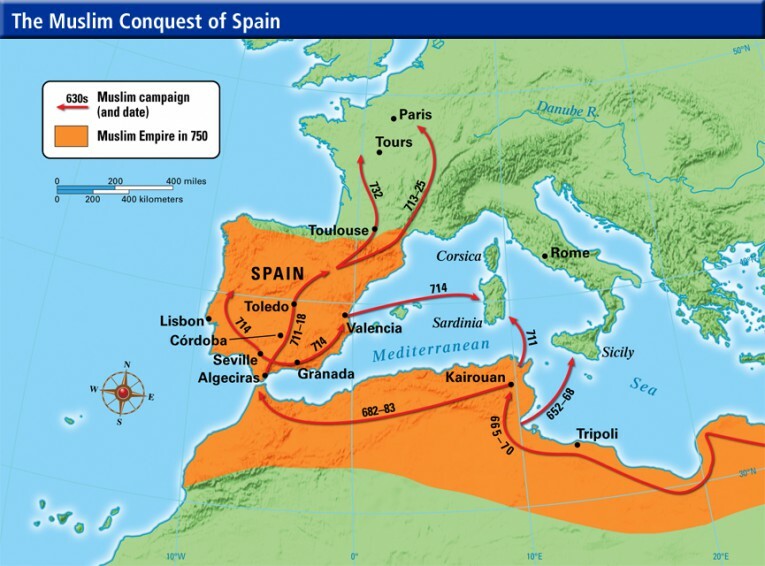 Spain, which was ruled by Muslims for 700 years until 1492, is marked out as a territory the caliphate plans to have under its control by 2020. 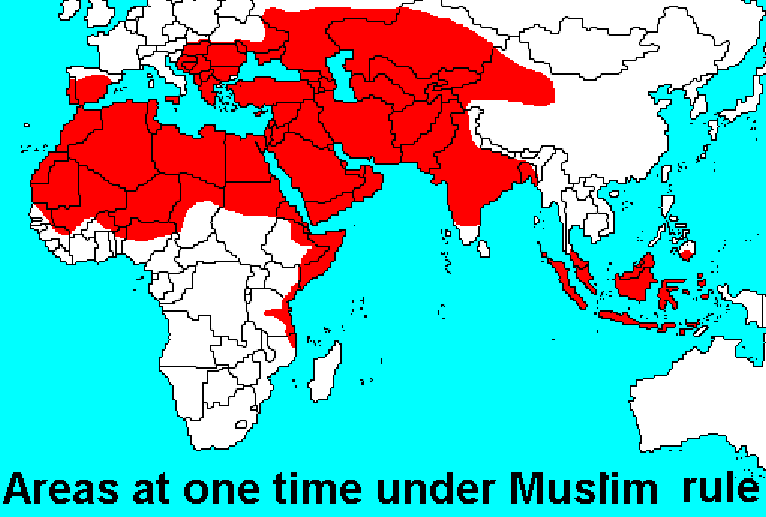 The militants issued the warning in a video that shows an ancient map of the Iberian peninsula turning red, it was reported by The Daily Express. Europe’s worst attack by Islamic militants occurred in Spain in 2004 when bombs on Madrid commuter trains killed 191 people. 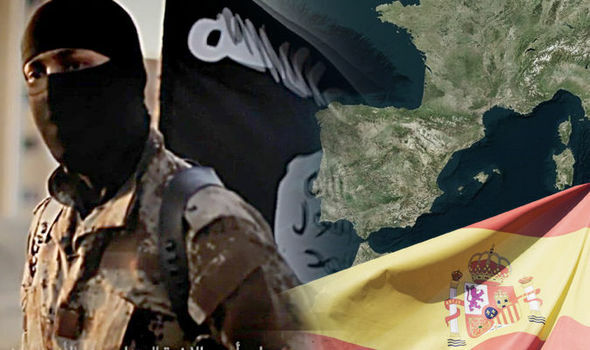 The warning comes three weeks after Spanish security officials said they had arrested more than 90 suspected Islamic extremists in 2015. One of those held was an inmate at a prison near Madrid who allegedly tried to recruit jihadi fighters for ISIS and threatened to bomb major Spanish cities including the capital. A wheelchair-bound Islamic extremist also confessed last year to sending more than 200 jihadists to Syria and Iraq to fight for the terror group. Belgian-born former drug addict Mustafa Maya, 52, made the admission during questioning by a Spanish prosecutor, respected newspaper El Pais reported. 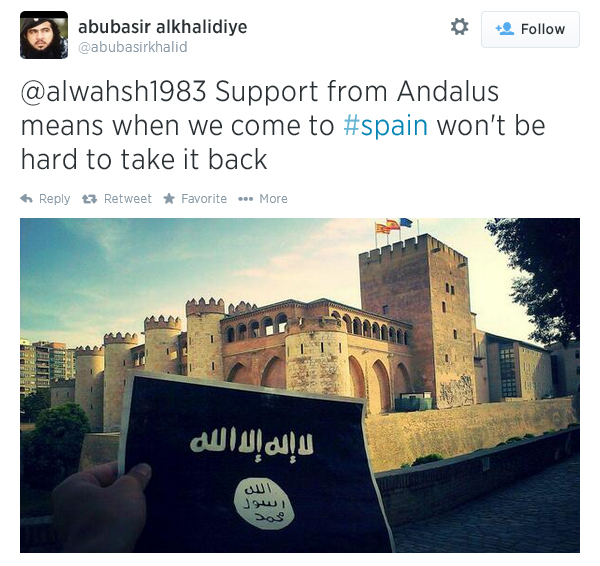 Maya was arrested last year in the Spanish enclave of Melilla on suspicion of heading an Islamic State recruitment network and is currently awaiting trial. They have also received more than 600 anonymous tip-offs regarding possible Islamic extremists under a new project set up to better anticipate the threat of attacks.